Marico shares were up 4 per cent to Rs 359 on the BSE in early morning trade on the hopes of improved operating margin in the March quarter (Q4FY19). Operating margin is expected to improve moderately as pressure from input costs eased and operating leverage benefits kicked in, the personal products company said in a quarterly update, on Tuesday after market hours. Marico said that during the fourth quarter they have witnessed stable demand conditions and healthy offtake growth on the back of the competitive strength of franchise. While rural grew ahead of urban in the traditional channel, we believe consumption trends should be closely monitored in light of some sluggishness in wholesale in March. Robust growth in Modern Trade and E-Commerce throughout the year has propelled the share of business from these channels to its highest ever level. Headwinds in Canteen Stores Department (CSD) sales also seem to have passed, it said. In the past two months, post the December quarter (Q3FY19), Marico had underperformed the market by falling 8 per cent, as compared to 7 per cent rise in the S&P BSE Sensex till Tuesday. Tailwinds in terms of lower copra prices (expects 15-20 per cent correction in FY20e) and premiumization will help in margin improvement going forward although the company will keep investing some of the benefits in brand building, analyst at Narnolia Financial Advisors said in Q3FY19 result update. According to analysts at Prabhudas Lilladher, Marico is depending upon around 10-15 per cent decline in Copra prices during the harvesting season in Q1FY20, growing traction in small packs of VAHO, Hair Serums and male grooming and rising saliency of non- Parachute portfolio in Bangladesh. Although Marico has guided for 5-6 per cent volume growth in Saffola for H2FY19, we believe it requires significant repositioning and price correction to outgrow the market in a highly competitive scenario, it said. 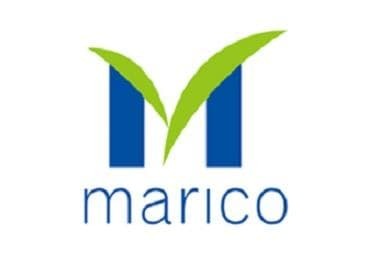 At 09:30 am, Marico was trading 3 per cent higher at Rs 356 on the BSE, as compared to 0.48 per cent rise in the S&P BSE Sensex. A combined 1.3 million equity shares have changed hands on the counter on the BSE and NSE so far.